I love neat cast ons in my knitting, and even though I have my absolute favorites, I also like to try out new methods. The crochet cast on method, using a crochet hook, is amazing for provisional cast ons: You can just slowly unravel the chain, revealing the live stitches! I did a tutorial on this a couple of years ago. However, I also very much like the neat edge it creates, which mirrors the very ordinary knit one, *knit one, pass stitch over,* repeat *-* bind off. If done with the working yarn instead of the waste yarn, you can get identical cast on and bind off edges! I’ve always found the crochet hook version a little fiddly. And worse – you need to remember where you put that crochet hook (or bring it with you), which non-crocheter-me always forgets! So need made me unvent an identical cast on, just without crochet hook. 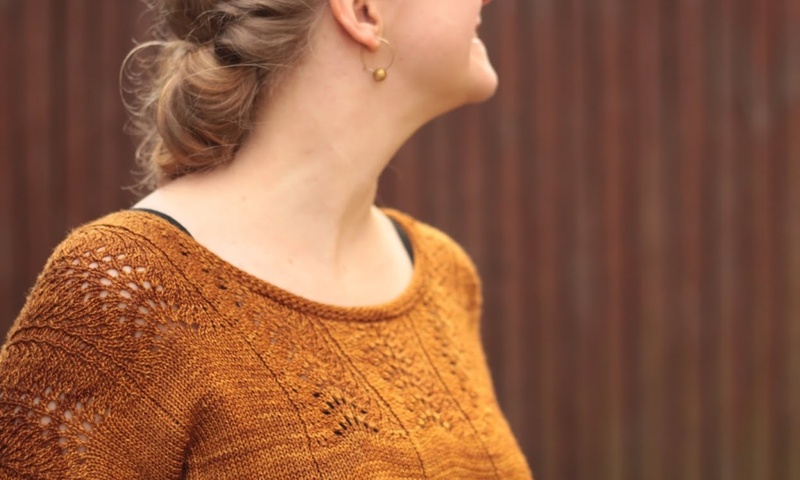 If you’re familiar with the crochet cast on, this might not be anything new for you, as you might be able to wrap your head around it yourself – but for those who don’t, I made a tutorial! 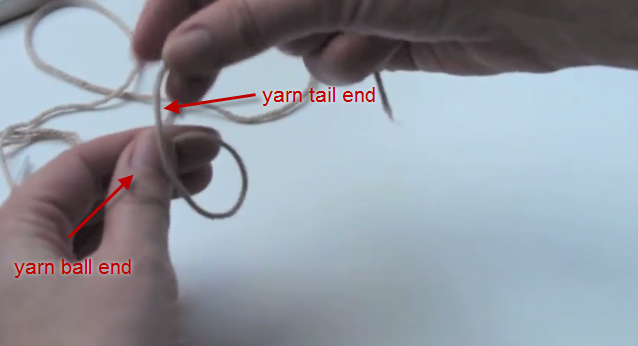 Create a slip knot by laying the tail of the yarn across the strand that is attached to the ball. 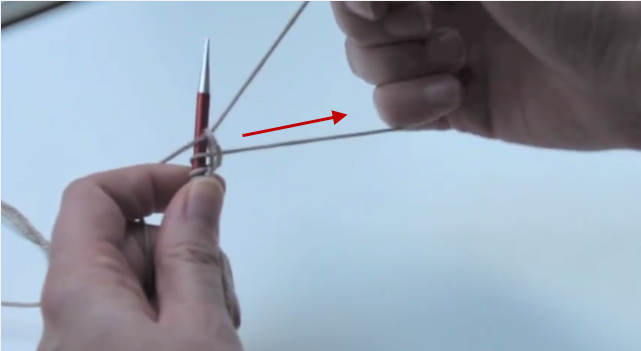 Lay the needle on top of the strand that is attached to the ball, leaving the tail end and slip knot on the right hand side of the needle. 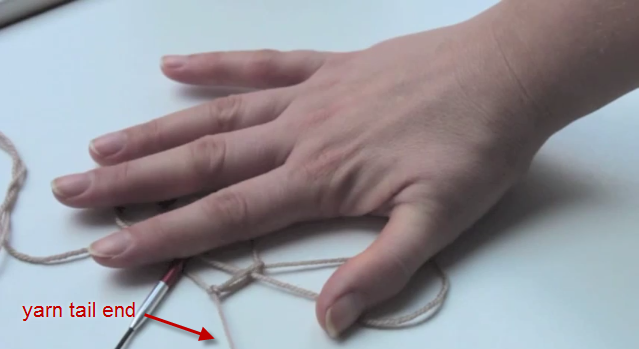 Pull the strand attached to the ball over the needle and through the slip knot. 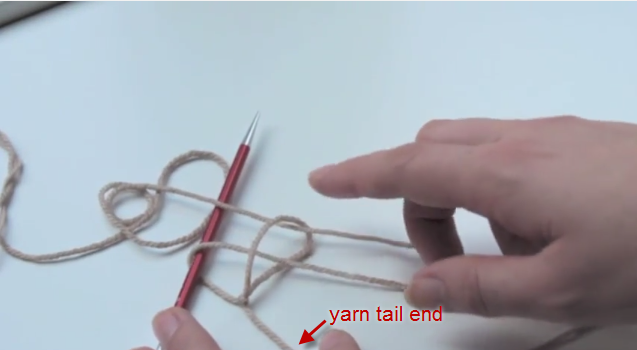 With one hand, hold on tight to the yarn on the needle and the loop you just pulled through, and with your other hand pull the yarn tail to tighten up the slip knot around the loop you just created. You know have the first stitch on the needle. 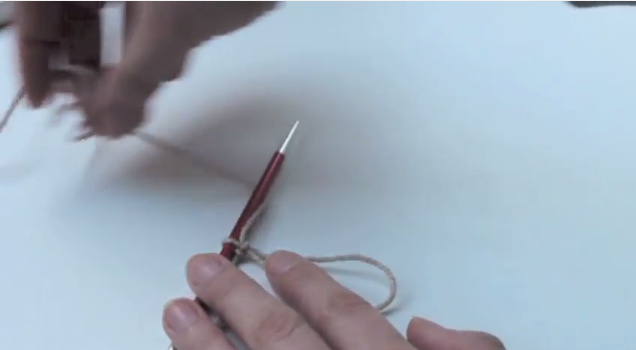 Pull your loop to tighten the stitch around the needle. 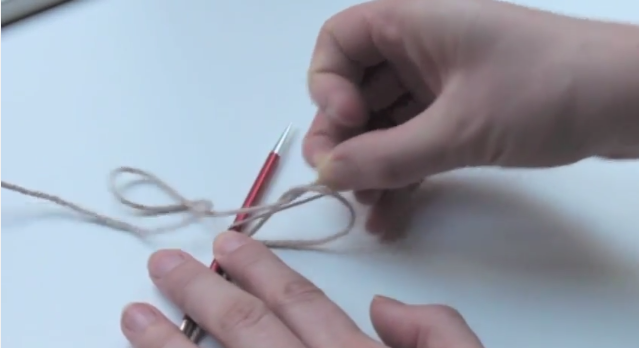 To make your next stitch, wrap the yarn around the needle so it’s in the back. 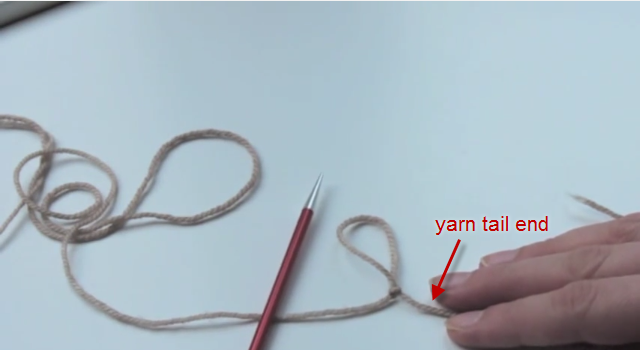 Pull the yarn through your loop. 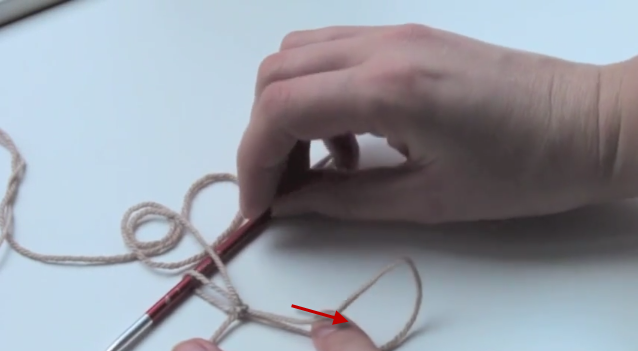 Pull the loop tight around your new loop. Repeat steps 6-8 to cast on the number of stitches you need minus one. 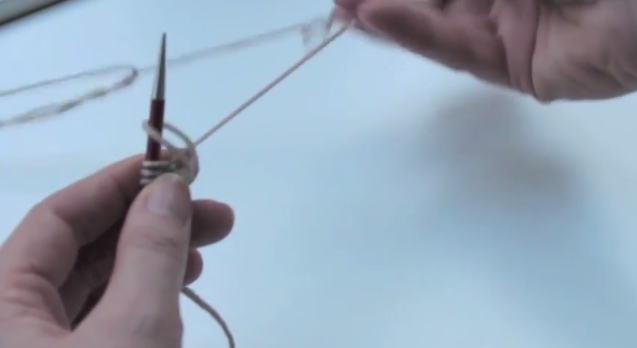 To finish your cast on, lead the yarn to the back, then put your loop on the needle and pull it tight.